THE first episode of a fan-made re-imagining of lost Doctor Who story The Power of the Daleks has been released online. The unofficial remake of the 1966 Patrick Troughton adventure has been produced by the same team responsible for successful stage versions of other missing classic Who stories including Evil of the Daleks and The Dalek Masterplan, with support from TNT films. The production features Nick Scovell as the Doctor, reprising the role some 15 years after his debut as the Time Lord in acclaimed 1997 fan production “The Millennium Trap”, and guest stars Barnaby Edwards, Nick Briggs and Lisa Bowerman. Music has been provided by regular Big Finish Productions composer Martin Johnson. Episode two of the three-part remake will be released online on July 14, followed by the final installment in September. There will be a chance to see all three episodes together as a high-definition ‘movie’ version (with added post-production effects) at special charity convention Power: Reimagined, taking place in Fareham on September 1, 2012. Confirmed guests include the Doctor Who Restoration Team, Michael Troughton and Anneke Wills, who appeared in the original Power of the Daleks serial as companion Polly. Tickets are available now and proceeds will go to Cancer Research UK and Children In Need. For more information visit www.power-convention.co.uk or the Power of the Daleks Facebook Page. A LONG-LOST BBC drama starring a young Sir Ian McKellen in his first TV role has been found after nearly 50 years. The veteran actor, currently filming The Hobbit in New Zealand, couldn’t look more different to his role as grey-bearded wizard Gandalf in the rediscovered gem. 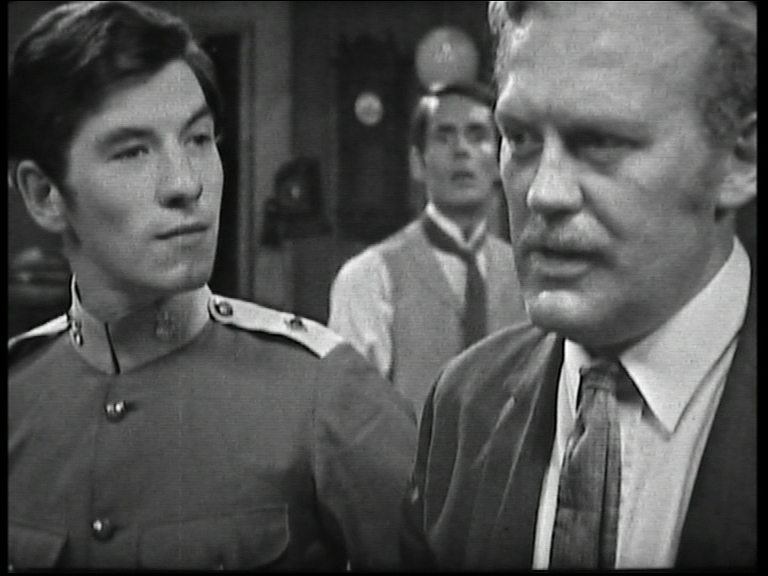 He appears as a dark-haired and fresh-faced 25-year-old in the black-and-white period drama “The Tomb Of His Ancestors”, made by the BBC in 1964. McKellen plays a character named Plowden in the 50-minute production (tx 09.08.64), based on a short story by Jungle Book author Rudyard Kipling. The programme, filmed as part of series “Kipling: The Indian Tales of Rudyard Kipling”, was no longer thought to exist – a victim of the BBC’s once-common policy of wiping or simply throwing away old recordings. But a single print survived in a private collection belonging to a historical society in Illinois, America, and was bought by a consortium led by classic TV organisation Kaleidoscope. Speaking for the consortium, also comprising missing episode enthusiasts Steve Birt and Tim Disney, Kaleidoscope’s Chris Perry described the McKellen drama as an “important find”. He said: “The Tomb Of His Ancestors is a vintage piece of BBC drama set in the days of the British Raj and is especially important because of its connection to Sir Ian McKellen. Broadcast between July and December 1964, Kipling featured performances from the likes of David Hemmings, Michael Bates, Alfred Burke, Barbara Murray, Keith Barron and Patrick Troughton. The new discovery doubles the number of known surviving Kipling episodes from one to two, with 23 out of the original 25 still missing. Also recovered by the consortium were two other previously believed-lost BBC programmes: a 1950s ballet production, Giselle, and a 1963 episode of the BBC series Suspense, starring Sylvia Simms and entitled “Miranda and a Salesman” (tx 19.08.63). You can watch a clip from “The Tomb Of His Ancestors” below (uploaded to Tim Disney’s YouTube channel). Read On: “Sir Ian McKellen’s precious television debut is rediscovered!” (story on Tim Disney’s website www.findaclip.co.uk). A NEW book examining how episodes of Doctor Who came to go missing, and then turn up again, is released this September. Wiped! Doctor Who’s Missing Episodes is written by Doctor Who Restoration Team member Richard Molesworth and published by Telos Publishing. You can find out more about the book, including a brief interview with the author, over in the Out Now section. In the 1960s, the BBC screened 253 episodes of its cult science fiction show Doctor Who, starring William Hartnell and then Patrick Troughton as the time travelling Doctor. Yet by 1975, the Corporation had wiped the master tapes of every single one of these episodes. Of the 124 Doctor Who episodes starring Jon Pertwee shown between 1970 and 1974, the BBC destroyed over half of the original transmission tapes within two years of their original broadcast. 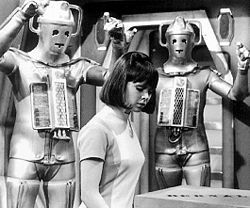 In the years that followed, the BBC, along with dedicated fans of the series, began the arduous task of trying to track down copies of as many missing Doctor Who episodes as possible. The search covered BBC sales vaults, foreign television stations, overseas archives, and numerous networks of private film collectors, until the tally of missing programmes was reduced to just 108 episodes. For the first time, this book looks in detail at how the episodes came to be missing in the first place, and examines how material subsequently came to be returned to the BBC. Along the way, those people involved in the recovery of lost slices of Doctor Who’s past tell their stories in candid detail, many for the very first time. No more rumours, no more misinformation, no more fan gossip. The truth about Doctor Who’s missing episodes can now be told in full! Wiped! 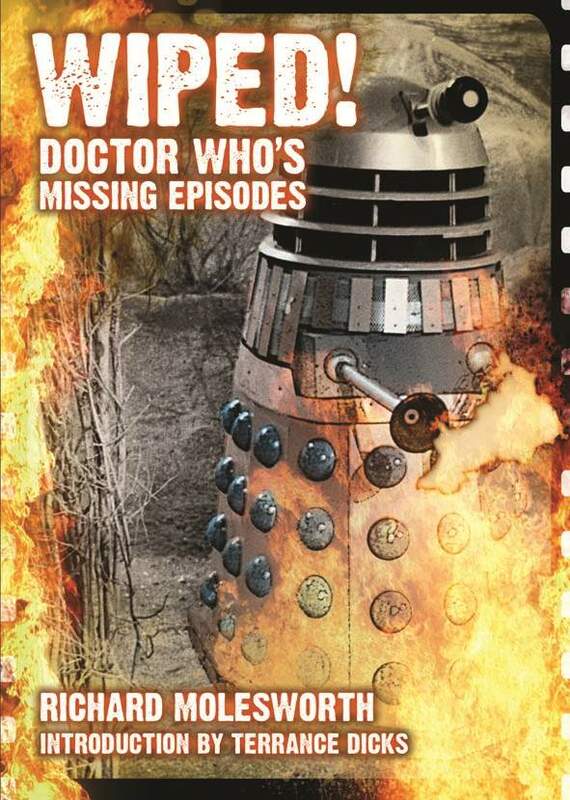 Doctor Who’s Missing Episodes, by Richard Molesworth, is out September 2010, priced £15.99 (+p&p). You can order a copy from Telos Publishing. Along with episodes two – six of the story it promoted, a specially-recorded trailer for classic 1968 Doctor Who story The Web Of Fear is currently missing from the BBC archives. Featuring Patrick Troughton as the Doctor, the trailer was broadcast at the end of episode six of The Enemy of the World to warn viewers the Yeti (and the Great Intelligence that controlled them) were coming back, scarier than ever. Thankfully, an audio copy survived from an off-air recording made at the time and this has just been combined with cutting-edge CGI to give a faithful idea of what the original trail must have looked like. It is the work of ‘life-long Doctor Who fan’ Iz Skinner. Speaking to WIPED, Iz explained how the idea for the trailer recreation came about after she started helping with the Loose Cannon series of missing Doctor Who adventure reconstructions. ‘Animation is one of my hobbies,’ said Iz. ‘I joined http://www.who3d.co.uk a couple of years ago and then got the recon(struction) bug. ‘The LC (Loose Cannon) guys found me at Who3D and asked me to help out on a few bits. ‘Working with the Loose Cannon team has been brilliant and a lot of fun – they were so knowledgeable and supportive. I hope to do more with them! She continued: ‘I’d say Patrick Troughton was my favourite doctor, until David Tennant (swoon), and I was looking for a short piece to try out my 2nd Doctor model and my Yeti – so the trailer was perfect. ‘But it was the great line ‘If your mummy and daddy are scared…’ that really sold it to me. ‘There weren’t any visual references for the trailer. I’d seen a set photo which I used as a basis to create the set and I found part of the script in The second Doctor Handbook (Howe-Stammers- Walker) although I’d started working on the animation by this time, just following the audio. ‘I made the Doctor and Yeti models early last year, 2008, and did the lip sync and then animation later, at different times, so it’s difficult to say how long it took – I’d say it would have taken three to four weeks if I’d been working on it full time. Iz’s trailer is set to be shown at the Gallifrey 2009 convention in Los Angeles in February and she revealed to WIPED that she is now working on the CGI recreation of a missing Doctor Who episode, title still under wraps, which she expects to have completed by the end of the year.